Leukemia Fighter! (CML); I Am Dancing and Traveling My Way Through: Just Admit It! Today’s WEGO blog challenge is to write about something “taboo”; something that people do, yet don’t want to talk about. This was not an easy task; of course the first thing that comes to mind are bodily functions, but who wants to write about them? So instead, I thought about things that annoy me and this is my number one top annoyance; screening cell phone calls! In the “olden days” when one made a phone call, the receiver simply answered it. If they did NOT answer, then you could assume that they were NOT home. There was no way in which to secretly discover “who” was calling; you simply had to take your chances and answer the phone. The caller never had to wonder whether or not the receiver made the decision to answer the phone based upon “who” was calling. With today’s technology, this has all changed. 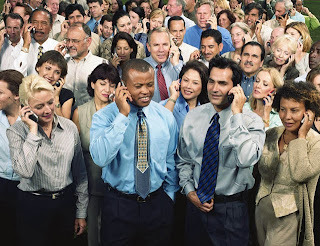 With the exception of a dire emergency or even worse yet; a lost cell phone, you can pretty much count on the fact that whomever you are trying to reach has their cell phone attached to their body. Most people ALWAYS have their phone within reach, if not on their person. Cell phones have become a second skin to many; people’s entire lives revolving around, and on their phones. Oddly enough, communication often takes a backseat. The taboo that no one wants to talk about is the fact that now when someone calls, and the phone is NOT answered, you can easily deduce that the person that you are calling simply does not wish to talk to you. You know that they have their phone, you know they have looked at it to see who was calling and you know that they have made the decision not to answer. You have been ignored and you can wait; wait until they are good and ready to talk to you. You or what you have to say is simply not that important. Yes, you can come to their defense and say that maybe they were busy, or that it was just utterly impossible to answer their phone, at that precise moment, but you and I both know that if they had REALLY wanted to talk to you, there would be no stopping them. I have had plenty of lunches, dinners and conversations interrupted by people answering their cell phones; I became the one that no longer was important. And believe me; I have observed this behavior for years. There is neither rhyme nor reason; sometimes they answer and sometimes they do not. It does not appear that it is content based, it is simply person based. There never seems to be a real “emergency” at hand when these calls are answered, it is simply someone that they wish to converse with; I find this quite rude and do not maintain friendships of this nature. I also know that when I call someone and they do not answer, unless there is a legitimate reason, then they probably do not wish to speak to me; luckily, this does not happen often! I suppose that we all have the option to just delete these offenders from our phones, but other times they are people that remain in your life, whether you choose them or not. Since moving to the mountains a year and a half ago, I have found freedom; freedom from the cell phone; freedom from having to be available 24/7. I have the freedom from having to be “plugged in” at all times. It took some getting used to but I now realize just how much of my life, my phone controlled. I have to admit that I get excited, once again, when my home phone rings; it is almost always a surprise! I think that we all need to remember our P’s and Q’s and start consciously applying them to cell phone usage. The greatest taboo of all is that cell phones, iPods, etc. have become people’s new best friend; we have all been replaced. It is a shame that people would rather focus all of their time and attention on an electronic device than a living, breathing human being. The next time you are in a group setting look around; what do you see? It is nice to see another leukemia patient speak out on this. I wish the leukemia doctors did also. Facebook; Is it the Be All; End All? Alternative Medicine; Is it for You? Three Songs That Lift My Spirits! 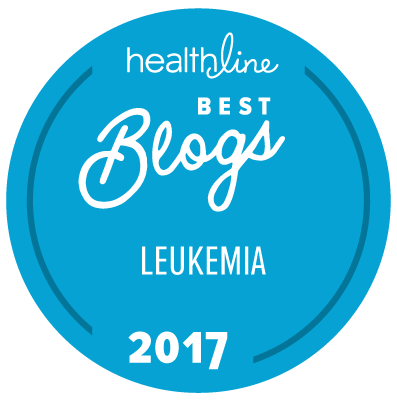 Do You Tell People About Your Leukemia? Favorite Fridays: Who Do You Follow? Mental Mind Meld; A Positive Outlook is a Must!